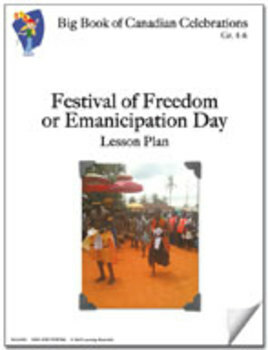 The Festival of Freedom or Emancipation Day celebrates the freedom sought after for many years by black people living in Canada after escaping from a life of slavery in the United States. The information deals with early black settlements in Canada and earlier celebrations. The follow-up activity focus on the usage of the word free to form other words and their meanings.